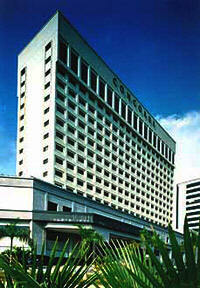 The Concorde Hotel Shah Alam is situated in the heart of Shah Alam, one of the financial centres of Malaysia. This international-class hotel is the town's largest with 380 tastefully appointed rooms and suites, 4 restaurants, 2 lounges, and meeting and events facilities. The hotel is a quick 45 minute drive from the Kuala Lumpur International Airport, with the landmark Blue Mosque of Shah Alam just a short distance away. From the hotel, you can enjoy easy access to Petaling Jaya and Kuala Lumpur, the capital of Malaysia. The Shah Alam Stadium, the Shah Alam Motor Racing Paradise, Sunway Lagoon Theme Park and the exclusive Sultan Abdul Aziz Shah Golf Resort are only 10 minutes away.